Many people come to editors with a rough idea of the strengths and weaknesses in their writing, but when it comes to the jargon of what level of editing they need, they may not have the vocabulary to express it. This is completely normal, so if you feel this way, don’t worry! A developmental edit is often very involved and looks at the big picture, as well as any nuances an author might miss in their own review of the manuscript. While many quick fixes to your manuscript may allow you to check for characters’ names or other basic problems, a developmental edit takes it a step further and looks at the “why” and “how” of the characters’ motives, their descriptions, and other aspects of writing. 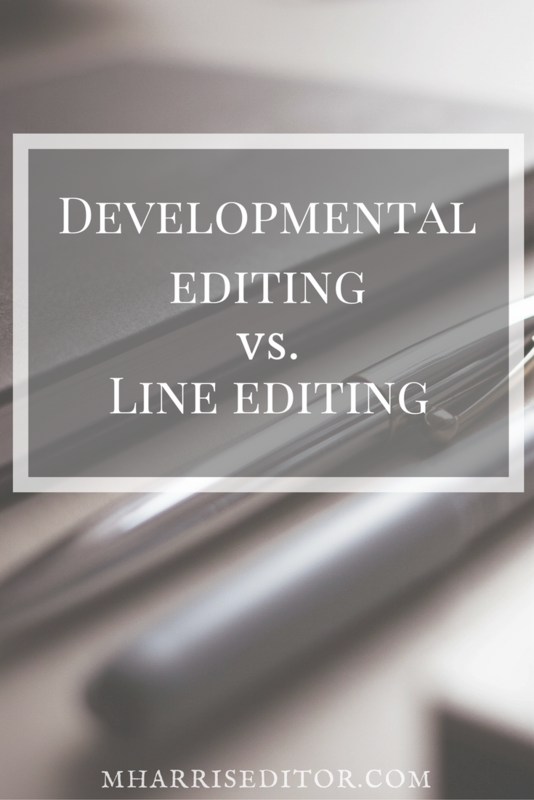 A developmental edit should always be done before a line edit, and there are many things you can do before starting the line editing process to make sure your story works. A developmental edit can help you achieve the clarity you need to move your story in the direction it needs. Identifying plot holes, theme, premise, symbolism, tension, pacing, character development (motivation, inconsistencies, etc), inconsistent dialogue or tone, etc. The review of these points is usually added to the manuscript in comments using Track Changes in Word. I have found over the years that this is the easiest way to do the markup because it allows the author to understand my intention and then decide if those questions and concerns are relevant to the story. Recommending solutions to identified problems in a 1-2 page summary of the internal comments I use throughout the manuscript. Every developmental edit I provide includes this summary and has the finer points of the internal comments to better explain where I think the story might have some issues or where common problems like tropes might need to be addressed to make the story more unique and less like other similar stories out there. Sometimes, developmental edits reveal major plot problems or instances where the plot falls flat or needs to be fleshed out. Like with any type of edit, however, the editor is merely a sounding board. It is up to the writer to make the suggested edits and may involve multiple conversations to smooth out any wrinkles uncovered in the review process. I live in the Show Me State, and as a Missourian, I’m often skeptical when presented with subjective information. I bring this skepticism in my editing because that critical eye benefits writers and challenges them to think outside of their writing in such a way that allows them to improve. Are developmental edits right for me? However, like any part of the editing process, you need a thick skin, and this rings true with developmental edits. You may have to do a major overhaul to your work, and so if an editor recommends developmental edits, it’s worth considering how much time and effort you’re willing to do to make your story great. If you come into the process with an open mind, you’ll find a lot more success than if you have decided your story is fine as-is and doesn’t need that full review. Editors are, by nature, picky. Line edits bring out the pickier side of editors because the process is very close to the manuscript. In other words, while the “big picture” story is important to editors in line edits, the finer details are tuned in this step in the process. Line edits are not proofreading, but they should involve looking at the sticky details that make a writer uncomfortable, such as the tone a character uses to speak versus another character or a homophone used incorrectly. It is always recommended that someone who hires a line editor also goes through the proofreading process later. A proofreader can catch the tiny errors that an author or editor might miss in the line editing process. For very long projects, such as books that span 70,000 words or more, the writer and editor might miss something, so it’s always a good idea to still bring in a proofreader before publishing. Are line edits right for me? If your writing is tight and you work with a number of critique partners or beta readers, then a line edit may be a better fit for you. If you’ve already identified plot weaknesses and have adjusted your action sequences, dialogue, and other major problems, line edits may be something you could benefit from doing before you seek out a proofreader and publish your manuscript. 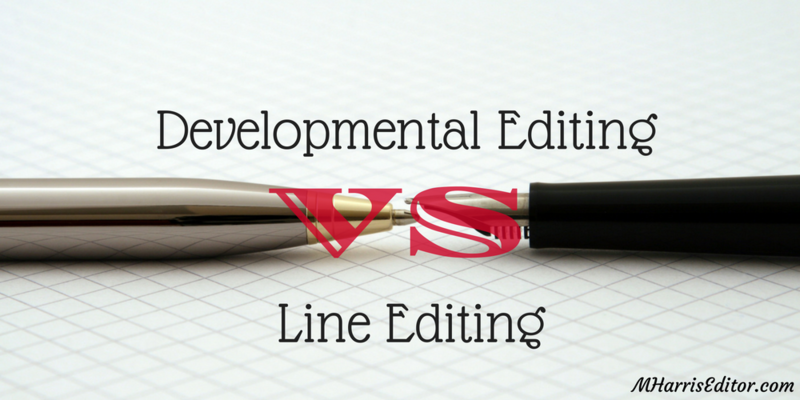 If you’re unsure whether or not to approach your edit with a developmental edit or a line edit, you can always request a recommendation from the editor. In addition to these services, I offer an editing critique that looks at 10,000 words of your manuscript to identify which route to go. Whether or not you decide to work with me after that critique is up to you, but it’s there if you need it. Want to learn more about my specific services? Visit the editing services page or contact me directly to discuss your project! Enjoy this post about different types of editing? Looking for networking opportunities and inspiration? Check out my author resources page for more!